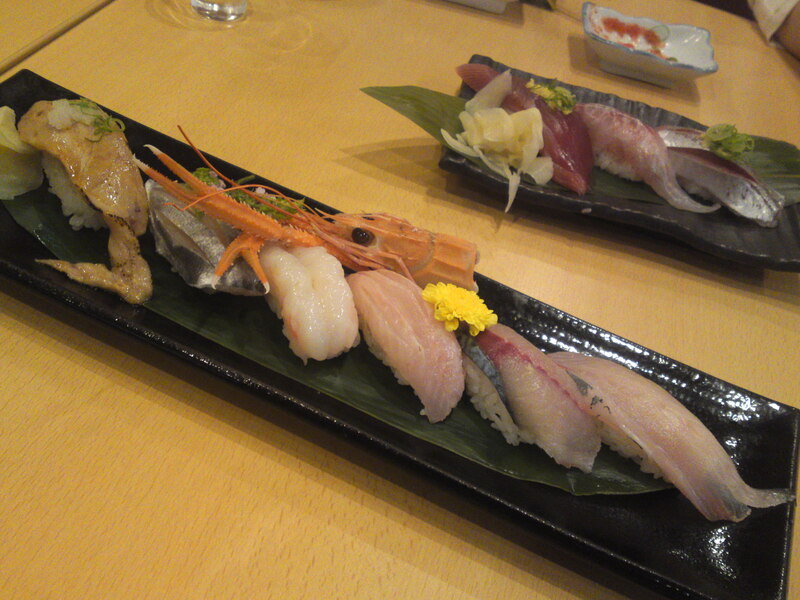 Sushi Restaurant: Uogashi Sushi Minato Ten (Harbor Shop) in Numazu City! Service: A bit shy and busy but very friendly! Some of the fish is still alive an d kicking! 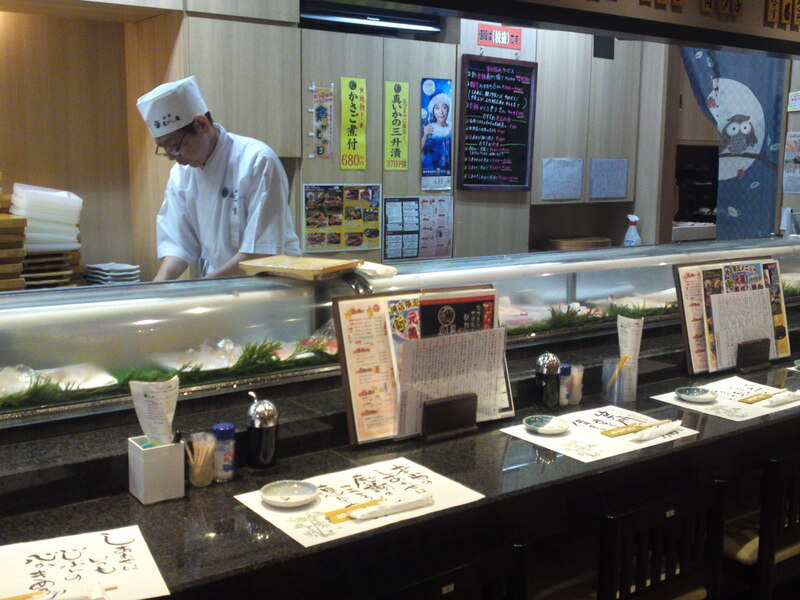 I had the other day the occasion to visit one of Uogashi Sushi restaurants, a chain which originated in Numazu City and now has establishments as far as Yokohama. 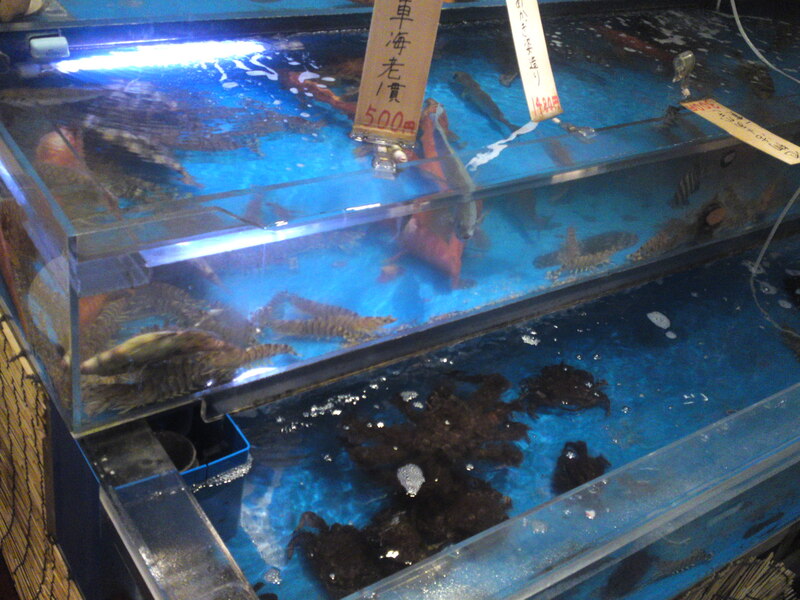 They serve a good array of fish and seafood at comparatively (for sushi restaurants) reasonable prices. 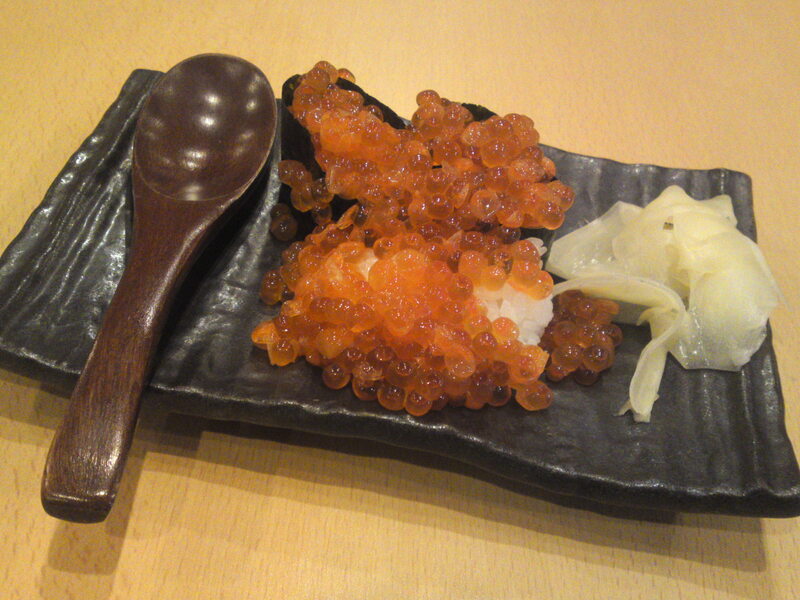 They can be classified as median regarding the standards of quality in Japan but they have the merit to serve some of the freshest produce in the country! 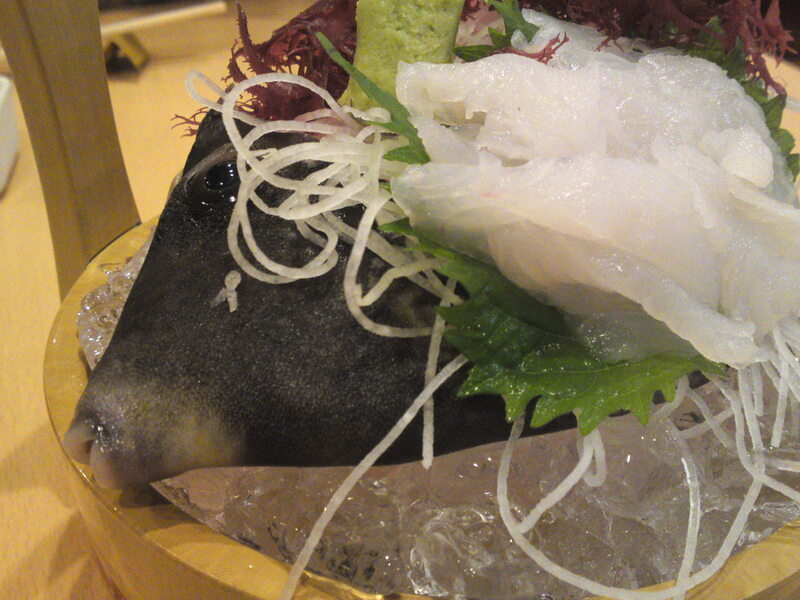 Kawahagi o-tsukuri/whole filefish/leather jacket sashimi plate! 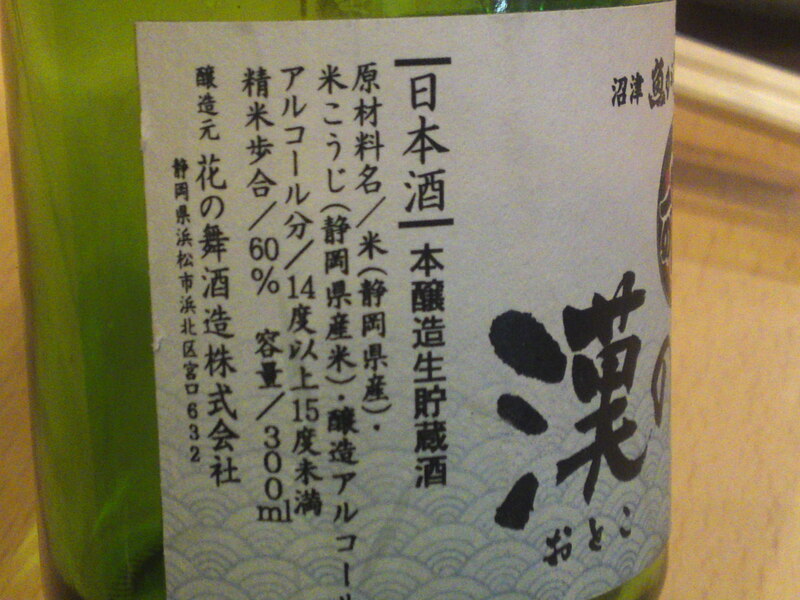 They have their own label sake! 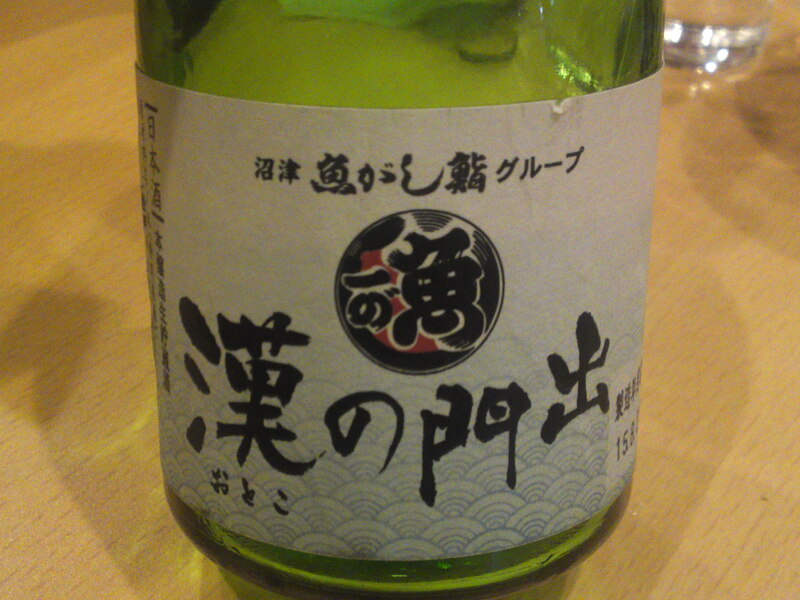 A Honjozo Nama called “Otoko no Mondashi/漢の問出” by Hana no Mai Brewery in Hamamatsu City! 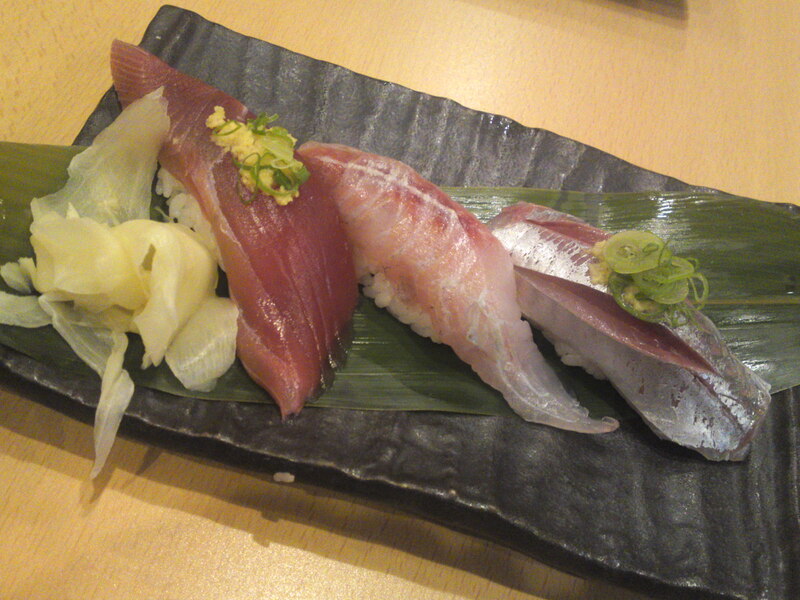 The first plate of sushi! 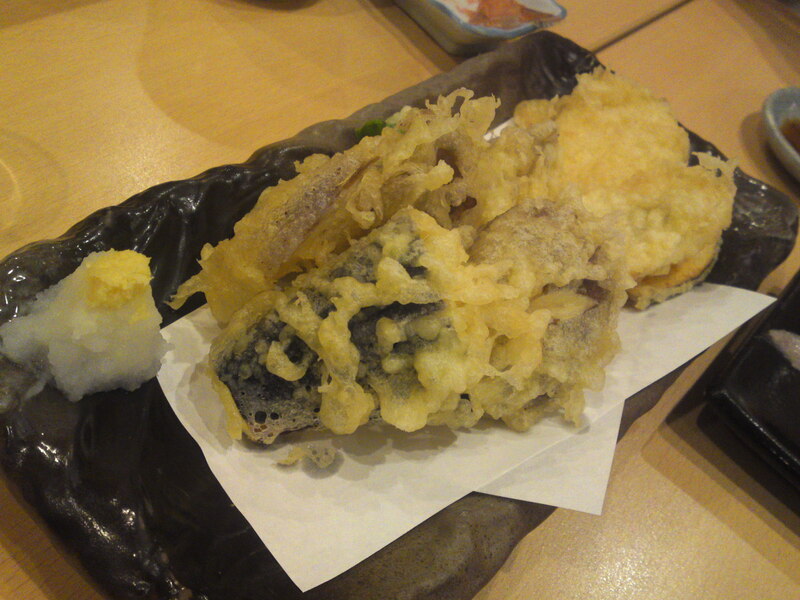 The second plate of sushi! 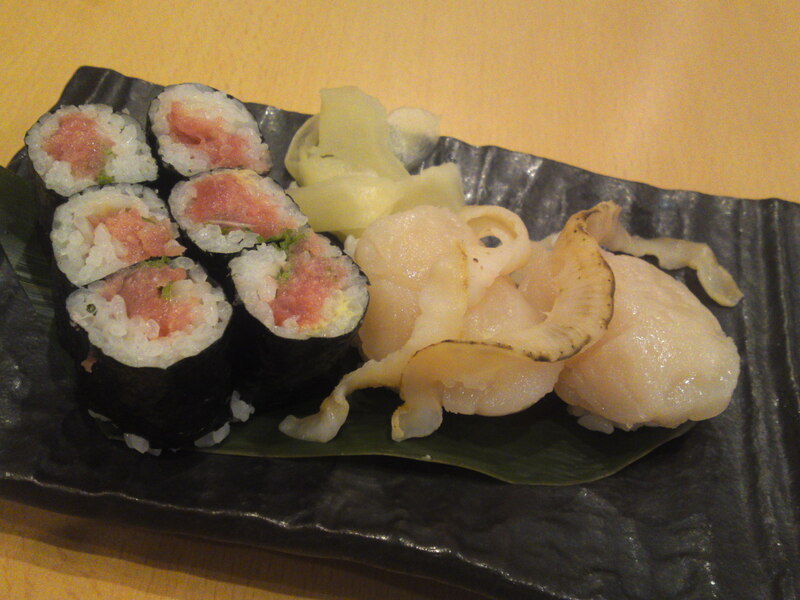 Negitoro/grated tuna roll and scallops/hotate/nigiri! 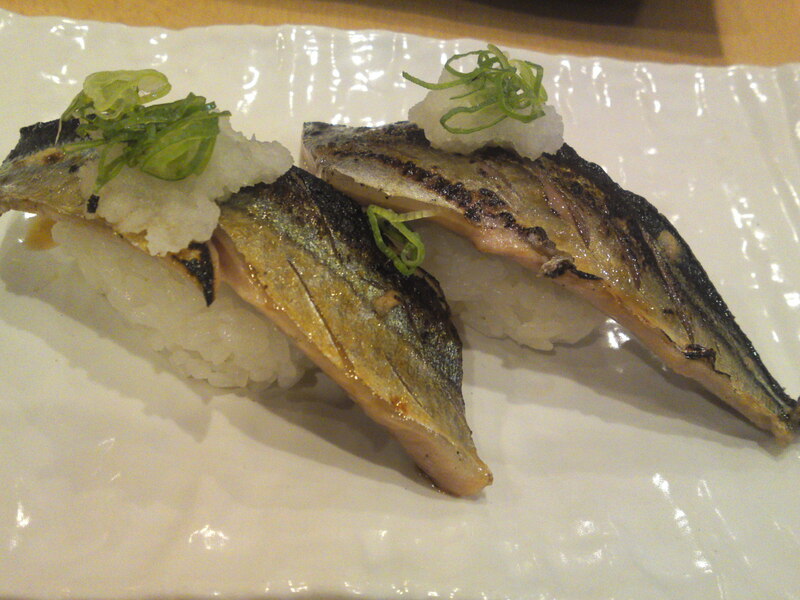 Grilled sanma/saury pike nigiri to finish! They have a lot, lot more, a very practical place for families and big parties!